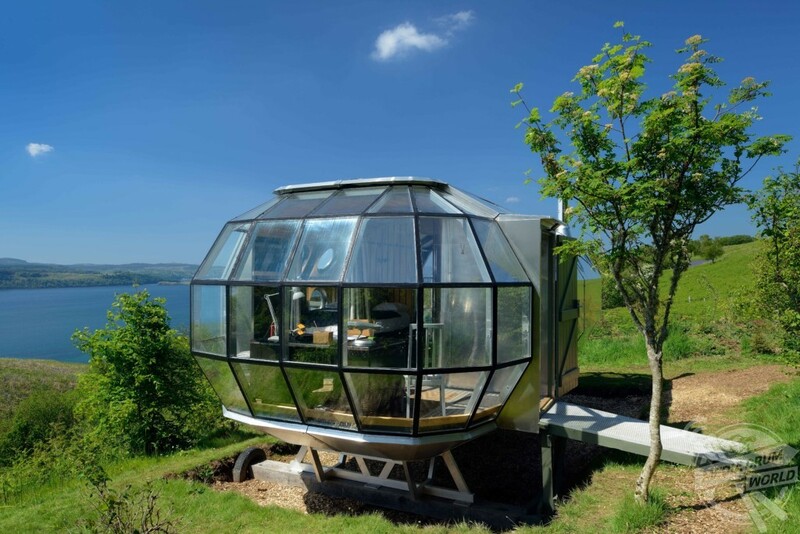 ENJOY the stunning beauty of the Scottish Highlands for just £150 a night in this inspirational, iconic aluminium capsule. Incredible images show AirShip 002 on the Scottish coast with kaleidoscopic windows and a viewing platform for stargazing. 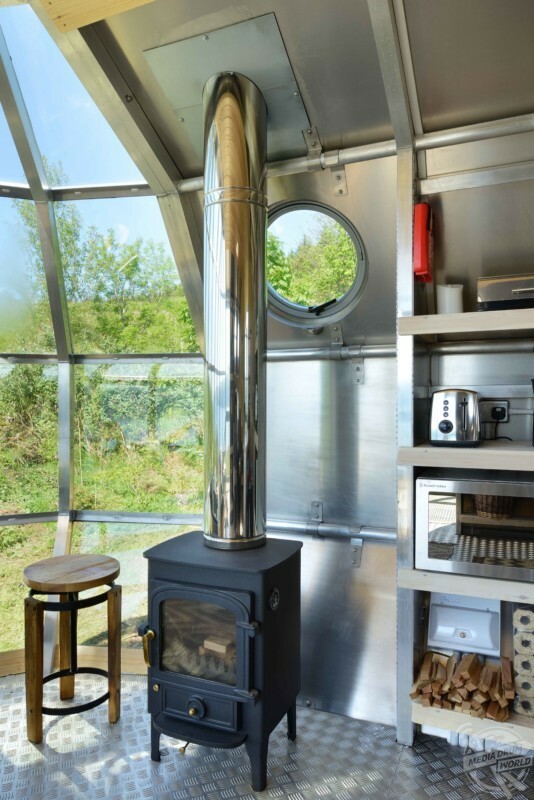 Other striking photos show the surprisingly spacious interior with a double bed, kitchen and living area and even a wood-burning stove in case it gets chilly. 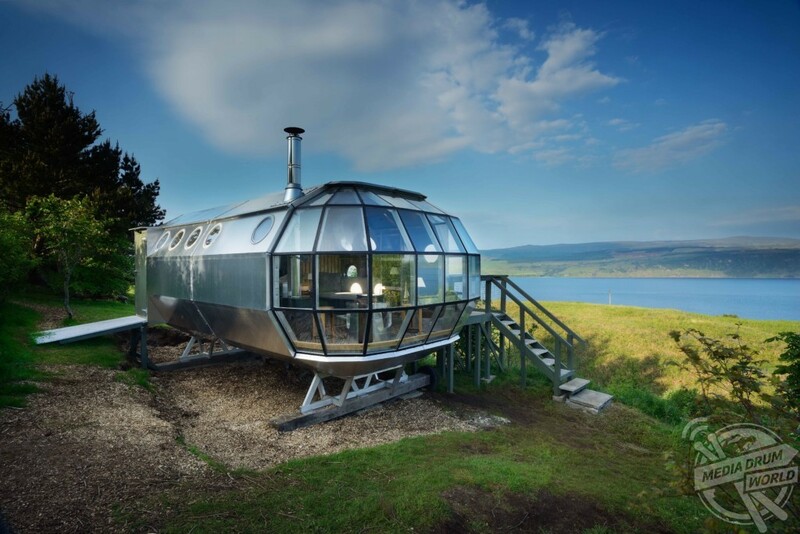 Designed by Roderick James Architects for Out of the Blue Ltd, the airplane-inspired, aluminium-clad Airship 002 is located on four acres of expansive greenery near Drimnin, Highlands, Scotland and is available to rent on AirBnB for £150 per night. 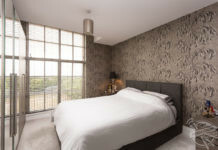 The unique property comes equipped with all the amenities needed to disconnect from life’s hustle and bustle. 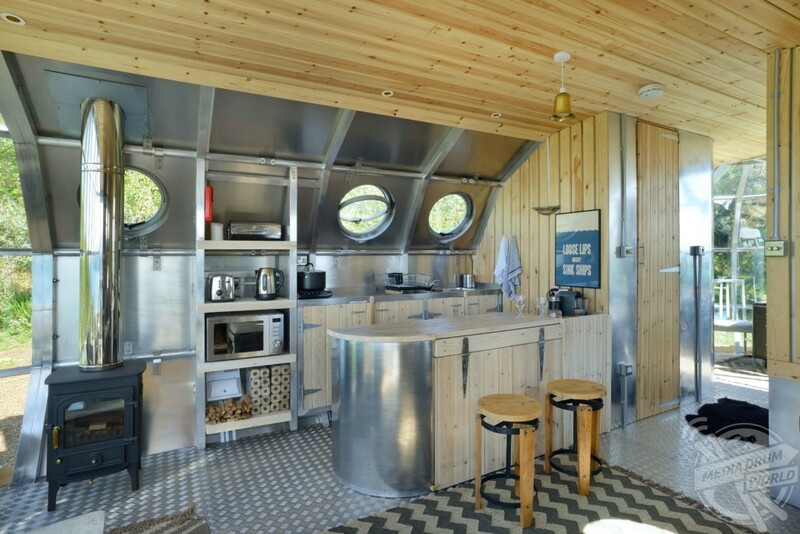 Clad in shiny aluminium, the building also has a nautical theme – immediately noticeable thanks to multiple portholes in the walls. 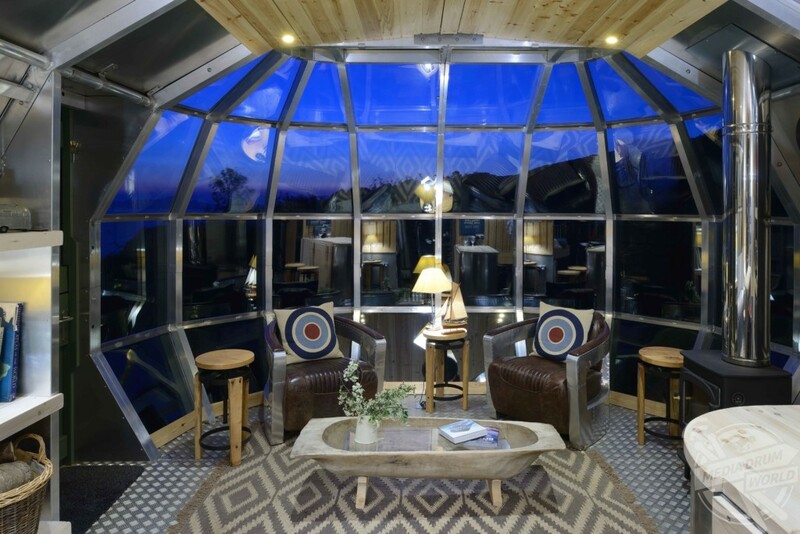 Inside the surprisingly spacious capsule, wood panelling creates a warm interior enhanced by an abundance of natural light. 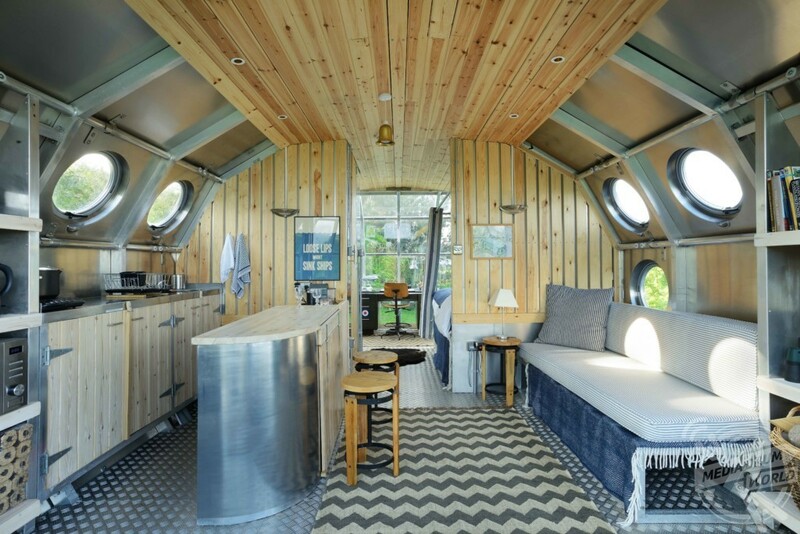 Although the Airship is a compact structure, the contemporary interior design creates a warm and relaxing atmosphere. 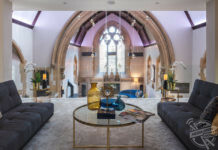 The kitchen is open plan with all of the amenities needed to create a home-cooked meal. 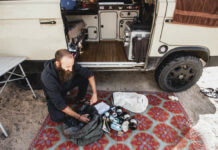 To open up space throughout the tiny structure, space-saving techniques, such as a fold-out table, keep the living area uncluttered. 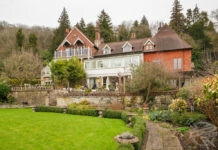 Located just past the kitchen area, the bedroom features a comfy four-poster queen bed. 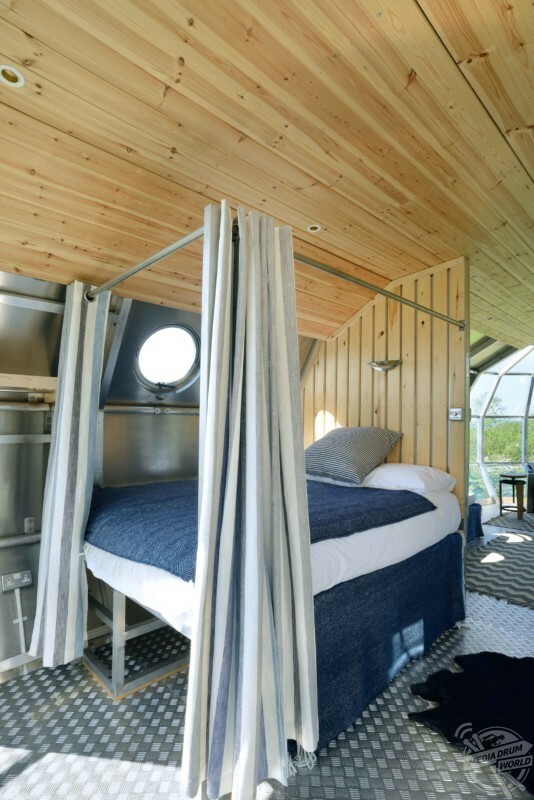 A pair of portholes over the bed allows guests to enjoy a bit of stargazing as they drift off to sleep. The two dramatic, faceted windows at either end of AirShip 002 embody the heart of the design. 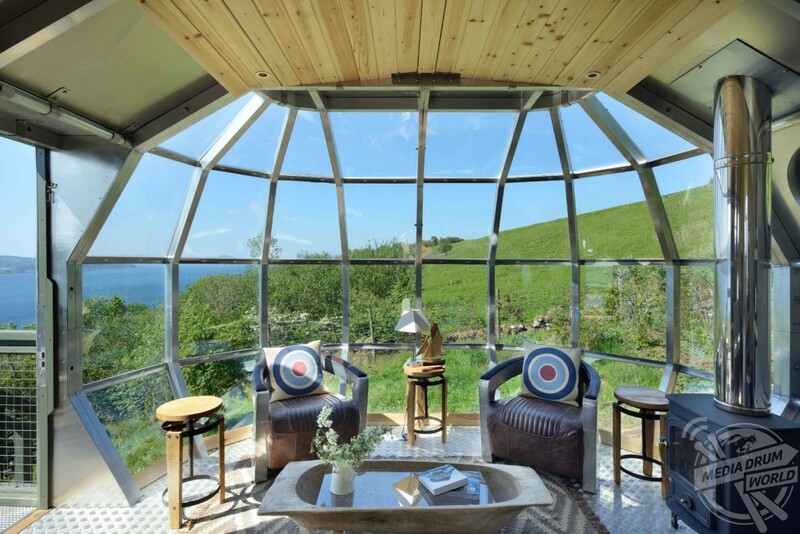 A serene seating area with a wood-burning stove looks out over the mountains and sea to the west. 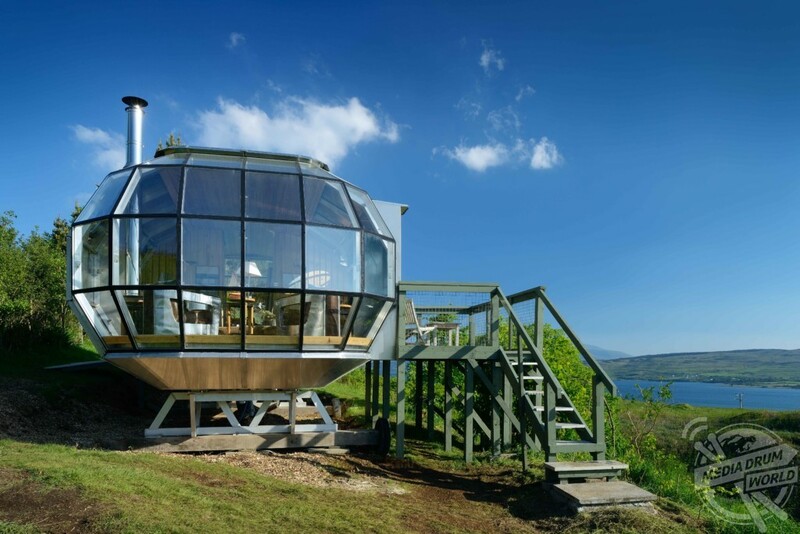 On the opposite side, a large writing desk faces the beautiful Sound of Mull. 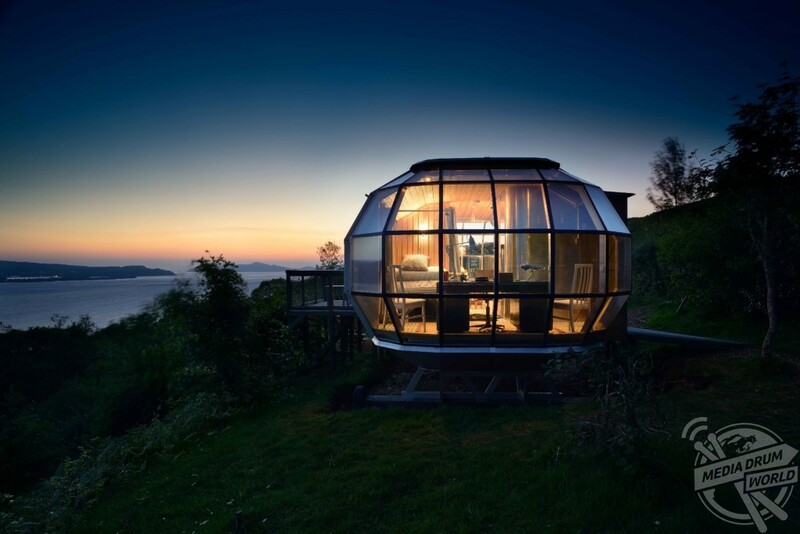 A wooden deck with outdoor seating on the side of the pod offers additional views of the incredible surroundings.